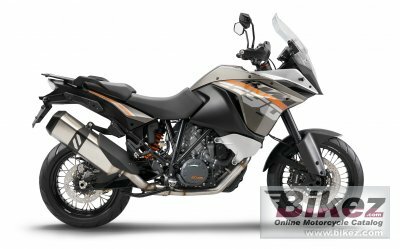 2014 KTM 1190 Adventure. Picture credits - KTM. Submit more pictures. The chassis combines lightness with outstanding geometry and fantastic suspension, which, together with completely new tyres for the travel enduro class, allow undreamed of riding pleasure in all conditions and whatever speed you desire, from very relaxed to very, very fast. Driveline: 5/8 �x �5/16 � X Ring. Primary drive: 40:76. Front brakes: Double disc. Four-piston calipers. Radially mounted. Alternate seat height: 875 mm (34.4 inches) If adjustable, highest setting. Comments: Small windscreen. Ride-by-wire system. Ask questions Join the 14 KTM 1190 Adventure discussion group or the general KTM discussion group.